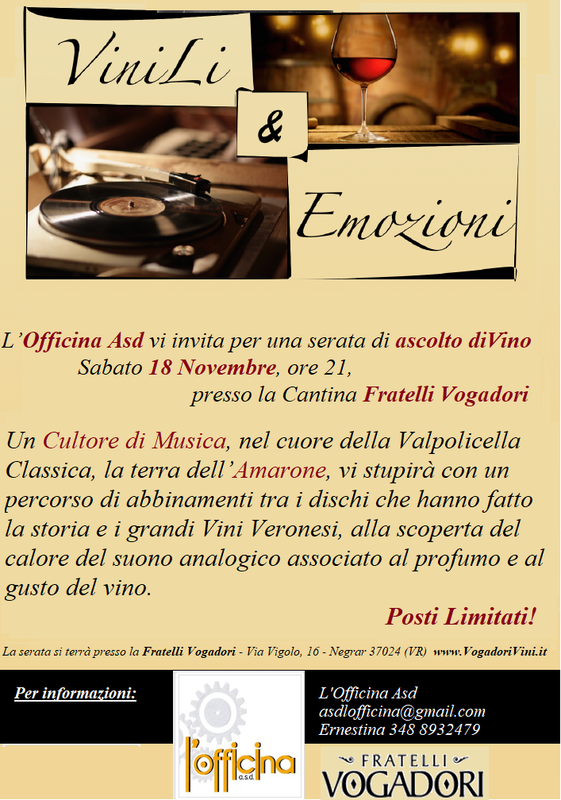 The Officina Asd invites you for an event with Vinyls and wines, Saturday the 18th of November at the Fratelli Vogadori winery in Negrar. The artist of the evening is Paolo Montresor, a teacher in a technical school, dj on the first free radio and discos at the end of the 70’s. 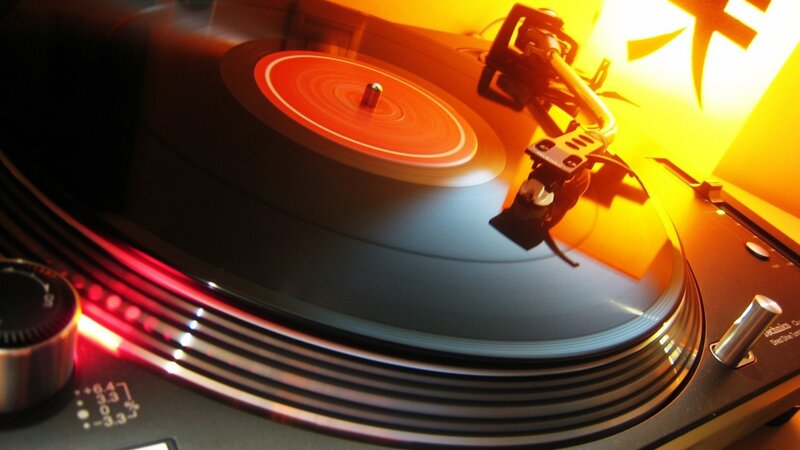 He has never lost his passion for good music and recently he has taken over his old vinyls by rediscovering the stories behind each song, creating musical path but above all sharing emotions that only analogical music can give. 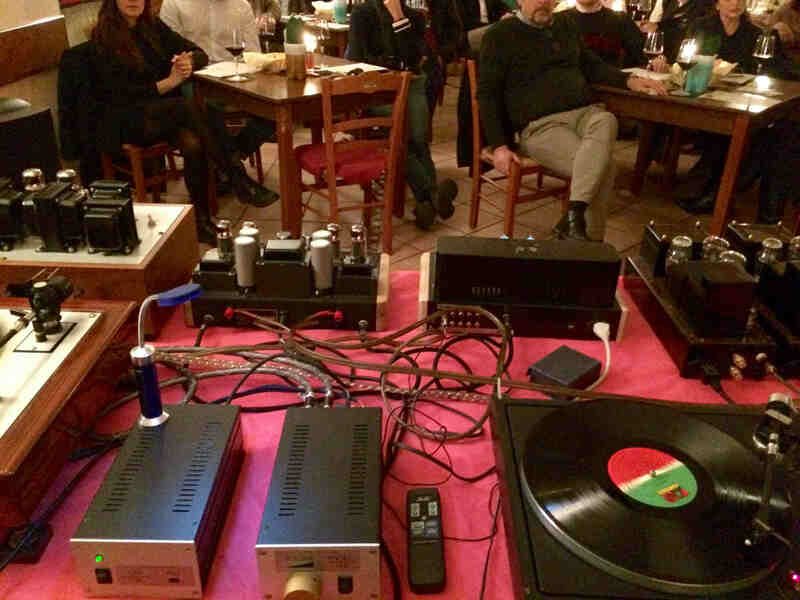 Paolo will surprise you with a mix of record-breaking records and the great Veronese Wines, discovering the warmth of the analog sound associated with the scent and the taste of wine. The wines are the wines of the Fratelli Vogadori, a family run cellar in Negrar, right in the heart of the Valpolicella Classica: the land of Amarone, Recioto and Ripasso. An evening of emotions, warmth in an informal and familiar environment. The event is organized by the Officina which was born at the end of the 1960s as a repair site for bicycles and cars. Space becomes over time a place of condensation of lives, stories, family and social relationships. The Officina Asd was born from the desire to continue to enhance the human component and proposes sports, cultural, social and recreational activities for children and adults by collaborating with the local realities. There is a baby sitting service at baby dance at Officina for families who would like to attend the evening.